Henry Disston’s Disston Saw Works influenced and infiltrated virtually every aspect of Tacony in northeast Philadelphia. 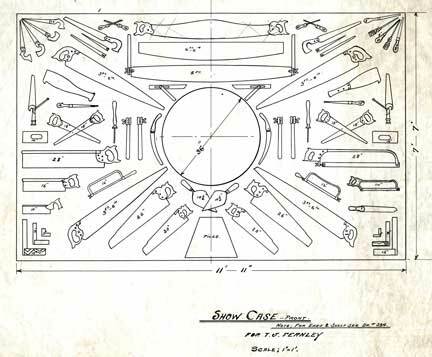 In 1871, Disston began moving his nearly thirty-year-old saw business renowned for the quality and dependability of its products to a large location in Tacony. Disston had made a name for his business nationwide by his introduction of new products and cost-cutting machinery. A believer in hard work and fair treatment of his employees, Disston shaped a working-class community around his factory. An average of 2,500 people worked at the factory, and Disston ensured that employees had adequate wages, benefits packages, and training. Employees’ families reaped the benefits of Disston’s paternalism too: the Disston family funded construction of new homes and a new school, and provided the town with its own water source, a hall, and a library. 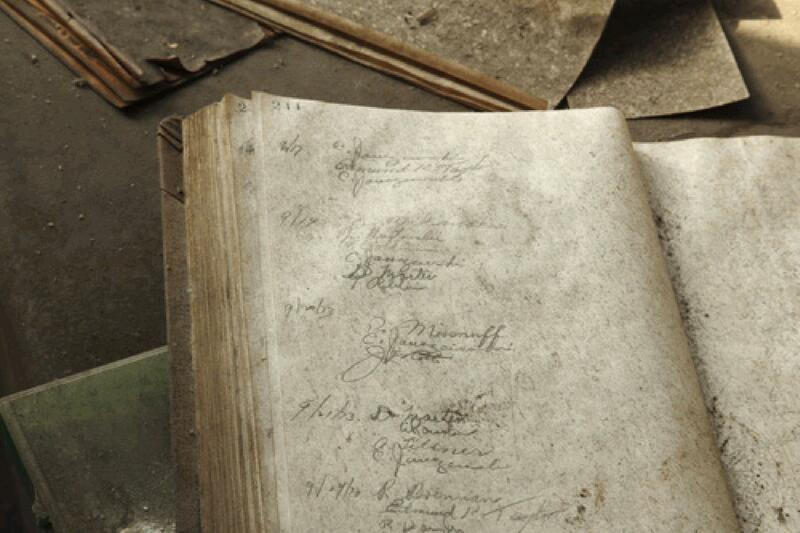 Disston’s deed for the nearly 400 acres of land he owned specifically prohibited buildings that sold liquor; although challenged, the deed has withstood the test of time. Although Disston’s family controlled the company until the 1950s, when global competition and financial difficulties led to the company’s sale and significant dismantling of the large site. 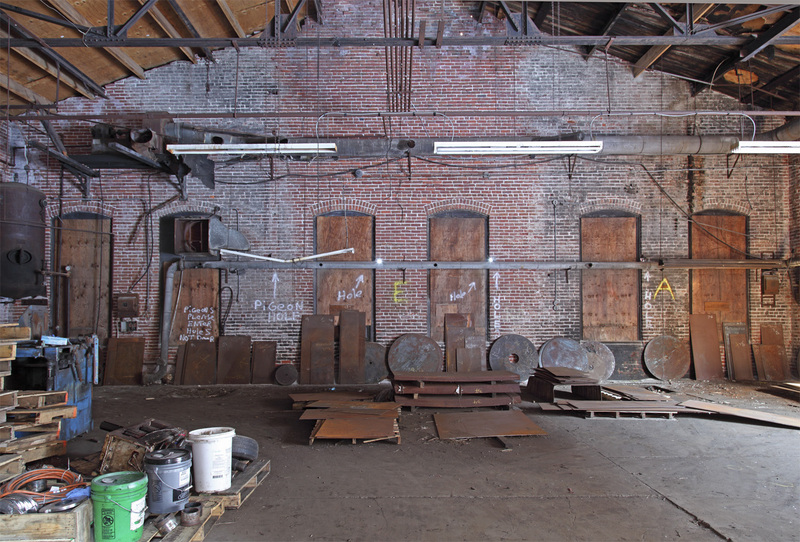 Today, the Disston complex is home to R. A. F. Industries, and Disston’s name is still found in various points in the old industrial town of Tacony. 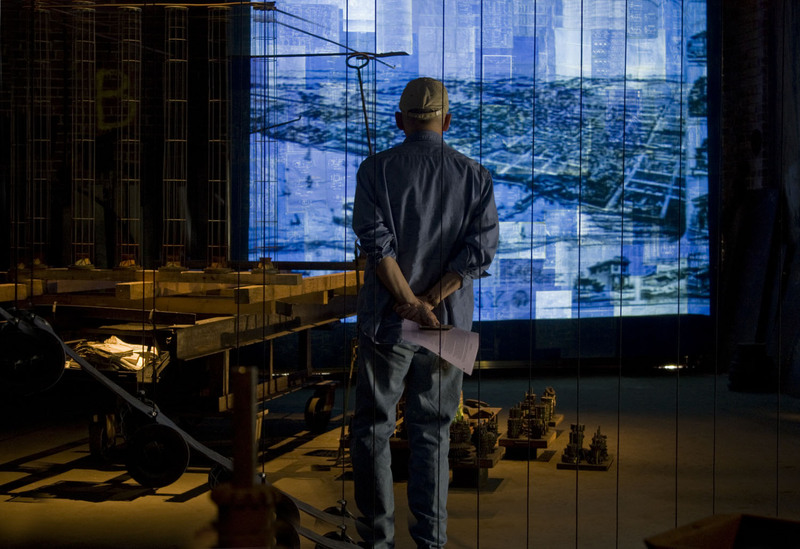 The artists have created a multimedia environment in an empty factory building at the Disston Saw Works that dramatizes the imagination and industry that have inhabited the site since 1872. 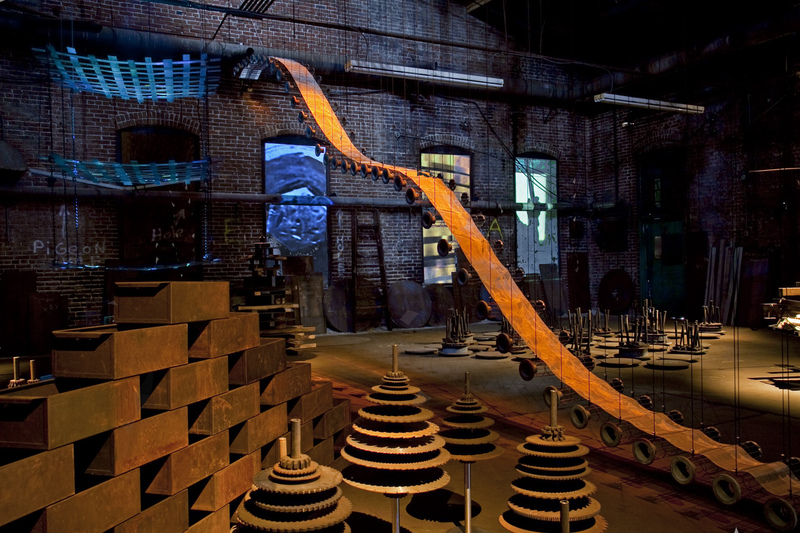 Their video, audioscape and sculpture installation incorporates numerous artifacts found on the Disston grounds and imagery derived from early engineering drawings from the company files. The fascinating processes involved in the treatment and shaping of steel and the molecular structures so important to the art and science of metallurgy are all subjects for the artists’ aesthetic explorations. 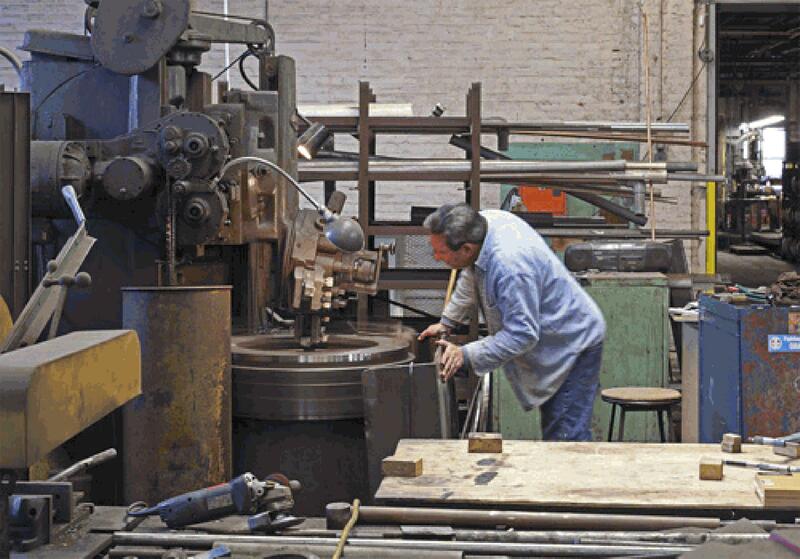 Viewers will experience a vibrant amalgamation of sights and sounds inspired by the extraordinary invention and craftsmanship of this historic steel and saw business in Tacony. John Phillips and Carolyn Healy are a collaborative team based in Philadelphia who create site-specific multimedia installations. 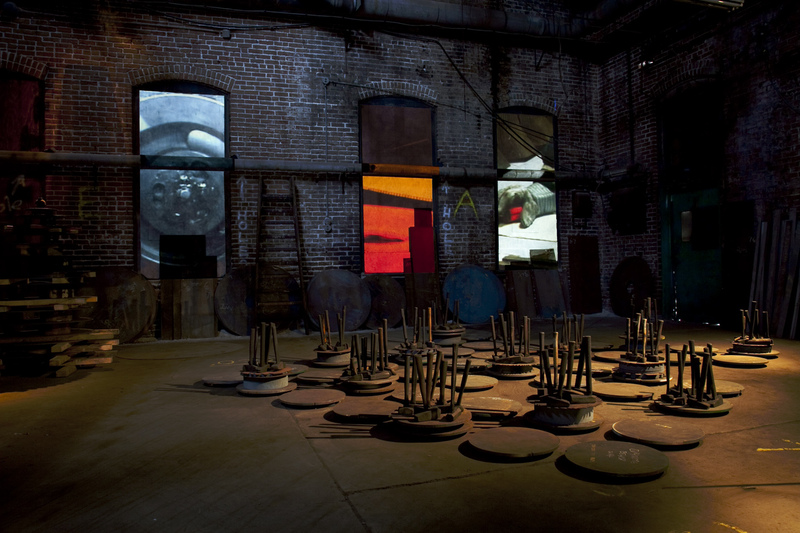 Their immersive, sensory-rich environments are built from Carolyn’s abstract sculptural forms, assembled from industrial scrap and a variety of found materials, combined with John’s animating video images and electronic soundscapes. The artists control the shape, color and movement of light and shadow to provide a dramatic setting for each project. Their installations have been produced for empty storefronts, an abandoned prison, unrenovated loft spaces, an elevator shaft, and a shopping mall in Beijing, in addition to more traditional museum, gallery and stage settings. Some highlights have been projects at Symphony Space and La Mama, New York; Carnegie Mellon University; The University of Michigan; Eastern State Penitentiary, Philadelphia; The Institute of Contemporary Art, Philadelphia; Cini Foundation, Venice; the 1999 International Computer Music Conference, Beijing; Suyama Space, Seattle; and appearances at the Philadelphia Live Arts / Fringe Festival in 1997, 1998, 2000 and 2004. Phillips and Healy have each received four individual Fellowships from the Pennsylvania Council on the Arts and one for their collaborative work. John has been awarded an NEA Fellowship for audio art and he has been artist in residence at the Millay Colony in Austerlitz, NY and numerous times at the Experimental Television Center in Owego, New York. Carolyn’s work has been supported by the Pollock-Krasner, Dietrich and Leeway Foundations.